Sir, Im a student of Community Medicine from India. My doubt is whether the components in the MMR vaccine, i.e. 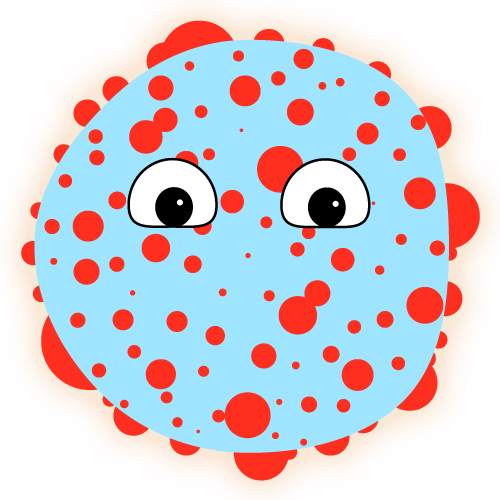 the measles, mumps and rubella are cross-protective, all the three being members of the Myxoviridae group. If I understand correctly you are questioning whether measles, mumps and rubella vaccines are cross-protective for one another. 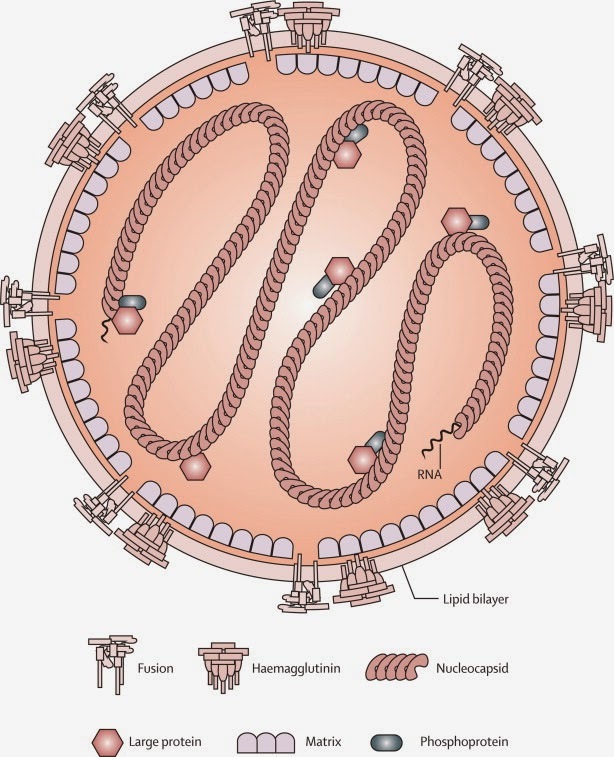 The answer is no, not only are they of different families (measles and mumps belong to Myxoviridae while rubella is in the Togaviridae family) but are different genus and species. I believe the answer to your question is no - the three vaccines protect separately for each illness. Finally one death from measles in the "Western world" Don't quote third world figures. You don't ever mention the downside of measles vaccine. There are over 20 infant deaths every year from the mmr vaccine every year in just the U.S. and thousands of neurological problems and much more. And U.S. gov pays compensation. For all the real science against vaccines see. You should stop parroting the nonsense you read on anti-vaccine websites. Those "deaths" were not verified. Again, the reason there is very low measles mortality in the USA is because of very low measles morbidity... you can't die of a disease you don't get because the MMR vaccine works for you! If you have real evidence the MMR vaccine, which was introduced in the USA in 1971, causes more harm than measles, mumps and rubella, then provide the PubMed indexed studies by reputable qualified researchers. Not some random website from someone who does not know the difference between mortality and morbidity. It just makes you look foolish, especially after it has been explained to you. Typical Pharmaceutical pusher response. My Data is from the CDC's own VAERS site. Yes I know it is not cause and effect, But doctors who put ( 86%of entrys are by doctors)in the data would not put in a adverse event unless he believed event was caused by a vaccine. So you can't just ignore the data, though that is what you people do. You don't even know the difference between morbidity and mortality, and why it is important. You are both close minded and clueless. "I can tell by your response you are a Big Pharma paid troll"
How so? By telling you that your website has several problems? By the way the MMR vaccine has been on the American pediatric schedule since 1971, so it is not a new vaccine. Instead of learning and correcting your errors you pulled out the old and boring Pharma Shill Gambit. Now just go away until you learn what are and are not valid science sources (not most of your links, especially "childhealthsafety), and why it is important to learn the difference between mortality and morbidity. Hint: the paper titled "Trends in Infectious Disease Mortality in the United States During the 20th Century" does not show the decline of disease incidence. My Data is from the CDC's own VAERS site. Yes I know it is not cause and effect, But doctors who put ( 86%of entrys are by doctors)in the data would not put in a adverse event unless he believed event was caused by a vaccine. So you can't just ignore the data, though that is what you people do. No Ms. Toff, Anyone can make a VAERS entry and they aren't believed to be vaccine-derived by the majority of physicians. Add to that duplicate and triplicate entries along with second and third hand reports and VAERS is useless to use to claim deaths from a vaccine. By the way, who pays you? Big Stupid Vaccine Conspiracy Nutters? Ah I thought so. Thanks Science Mom. Obviously this whole site is a Big Pharma sponsored site pushing there agenda. Also by the above responses I can tell no one read all the links I presented. Good by, I am sure you will be happy to know you won't here from me again. "Also by the above responses I can tell no one read all the links I presented"
Actually I am familiar with many of them. It was quite clear you had not read the JAMA article you claimed showed the diseases went down, it it was only about mortality. Even though I explained to you on the other thread, and mentioned it a couple times over... you still don't understand why mortality and morbidity are two completely different things. Seriously, why do you think an article discussing the reduction of disease mortality due to improved medical care is about the reduction of the number of disease cases? Very good that we won't "hear" back from you again....since you are definitely incapable of recognizing the difference between incidence rates and mortality rates. Moreover, the "shill gambit" is old and tired. I am always amazed that Anti-Vaxers are incapable of understanding that people can look at all of the available evidence and come to a conclusion that is different for their own - so instead, they claim that those people are somehow "paid" to hold those opinions. Because it makes just as much sense to claim that anti-vaxers are paid minions of the Health Industry - since it is abundantly clear that it is much more profitable to treat diseases than it is to prevent them via vaccines. "So you can't just ignore the data, though that is what you people do." of course VAERS reported death are NOT ignored!!! VAERS reports, especially those of death, are thorougly investigated by the CDC. They will contact the attending doctors, and the family, make a case study, look for common patterns and statistically significant occurences of common reactions. Thats the whole point. This is not, of course, something that you or I or even a doctor can do on his own. But thats OK, its only done once, and the conclusion of the investigation are made public. "In 1995 we had 5 in in kids schedule. in 2005 we had 8, now we have 14!! Do we nee the last 9??" That's a triumph! Each vaccine is a another desease we don't get. We have a ton of things now we didn't have 50 years ago that make our lifes better. But none as much as vaccines. Nobody develops a vaccine "just because." And yes, there are a lot of vaccines in the pipeline, but given the rigorous FDA clinical trial and approval process, maybe 1 out of 50 or even 1 out of 100 will actually make it to market. "There is some antigenic drift that renders a single antibody insufficient binding to a single antigen from some wild-type measles viruses but over all, vaccines protect us from many different genotypes including the currently circulating B3 genotype." -- So the MMR vaccine does not protect against ALL strains. Why doesn't the article say that in simple plain English? You misunderstood the statement. The measles vaccine does protect against all circulating strains because there are multiple antigens in the vaccine which allow us to produce multiple antibodies, not to mention cell-mediated immunity. So while there may be some drift in a single antigen, there are many more which we develop immunity to.